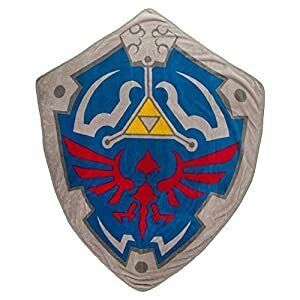 COLLECTORS ITEM: The Legend of Zelda has become a successful and influential franchise within the gaming industry. Add this sleek and lustrous Hyrule Mug to your collection today! 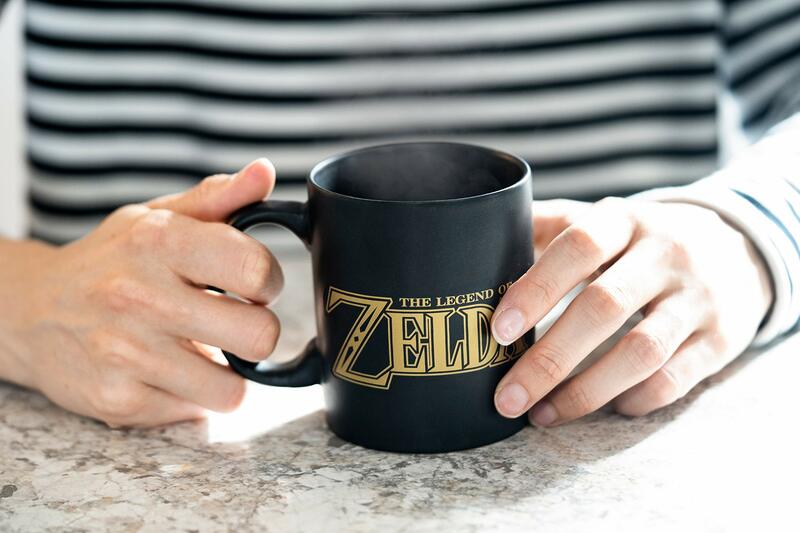 CONVERSATION STARTER: Whether you’re an avid coffee drinker, or a Link, Nintendo, or Legend of Zelda fan, this Hyrule mug will be sure to catch the eye wherever you are! Just watch out for monsters! 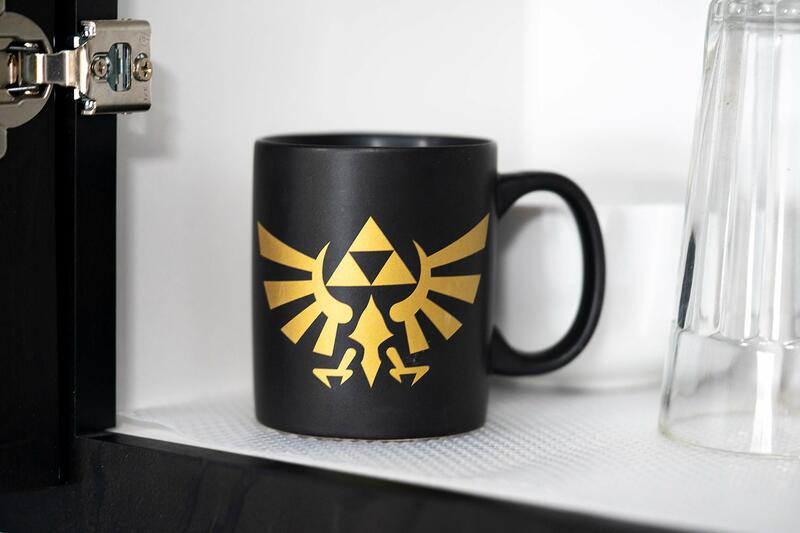 After rescuing Princess Zelda and recovering the Tri-Force, loosen up with a well deserved drink with this black and gold Hyrule Crest Mug. 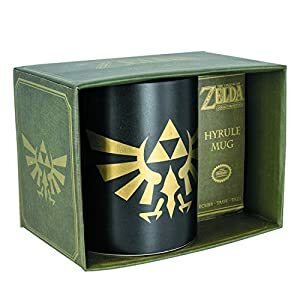 With an electro-plated gold Hyrule logo on a matte black mug, it is a great gift, inspired by the massively popular Legend of Zelda video game series. Whether your perfect drink is coffee, tea, hot chocolate, this standard size mug with a 10oz capacity is just the thing to help wind down after your most up to date adventure. 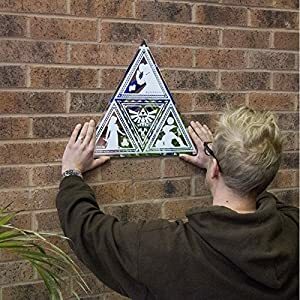 First released in 1986, The Legend of Zelda has develop into a successful and influential franchise within the gaming industry, spawning a lot of sequels, prequels, and spin-offs, including Ocarina of Time, The Wind Waker, and TriForce Heroes. 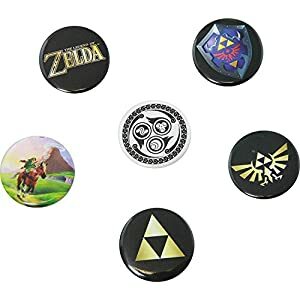 The fantasy adventure has been included in more than a few cartoons and comic books, making the characters of Link, Princess Zelda, and Ganondorf household names and one of the most most well liked video game characters of all time. 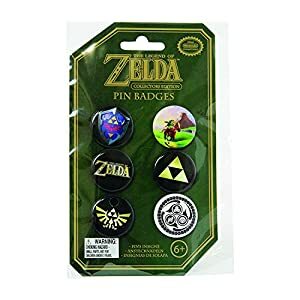 An officially licensed Nintendo product. 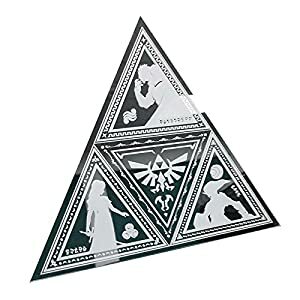 COLLECTORS ITEM: The Legend of Zelda has develop into a successful and influential franchise within the gaming industry. Add this sleek and lustrous Hyrule Mug to your collection today! 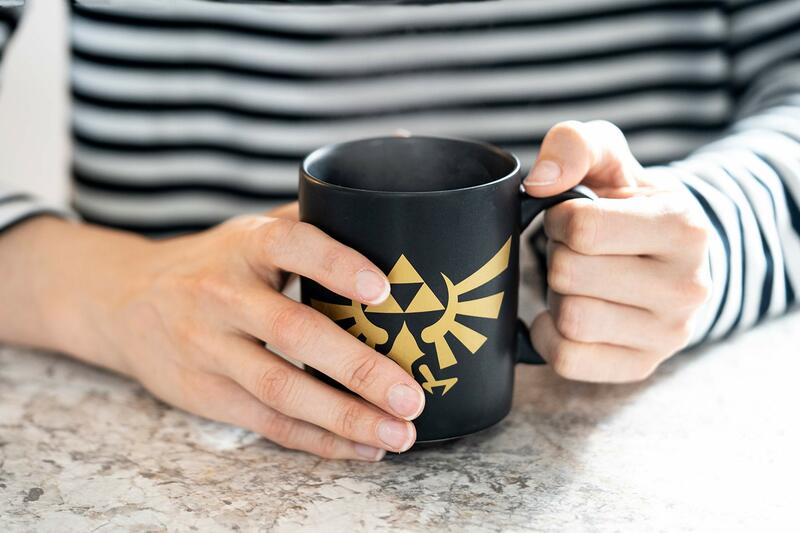 CONVERSATION STARTER: Whether you’re an avid coffee drinker, or a Link, Nintendo, or Legend of Zelda fan, this Hyrule mug will remember to catch the eye wherever you are! Just watch out for monsters! 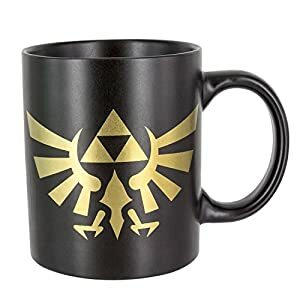 SLEEK DESIGN: With an electro-plated lustrous gold Hyrule logo on the front of a matte black mug, it is a great gift, inspired by the massively popular Legend of Zelda series. 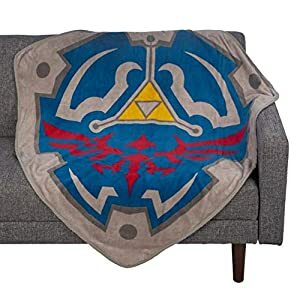 OFFICIALLY LICENSED: Officially Licensed Nintendo Product. This Legend of Zelda Hyrule mug isn’t suitable for microwave use nor dishwasher use. 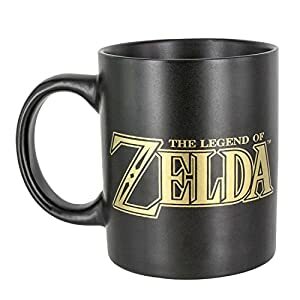 High Quality Ceramic Mug.